Maddie Harbert - Go Media™ · Creativity at work! After graduating with her B.F.A. 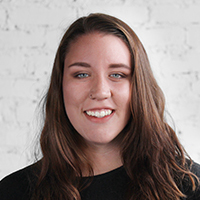 in Visual Communication Design from Kent State University, Maddie joined the Go Media team in 2018. As a member of the design team her work for clients ranges from identity, web, and print design.